Annapurna Base Camp is now accepting reservations for treks beginning October 10, and December 1, 2018. Surrounded by the gorgeous peaks of the Annapurna range, Annapurna Base Camp is often called a natural amphitheater. The route to Ghorepani and Annapurna sanctuary starts from Birethanti. 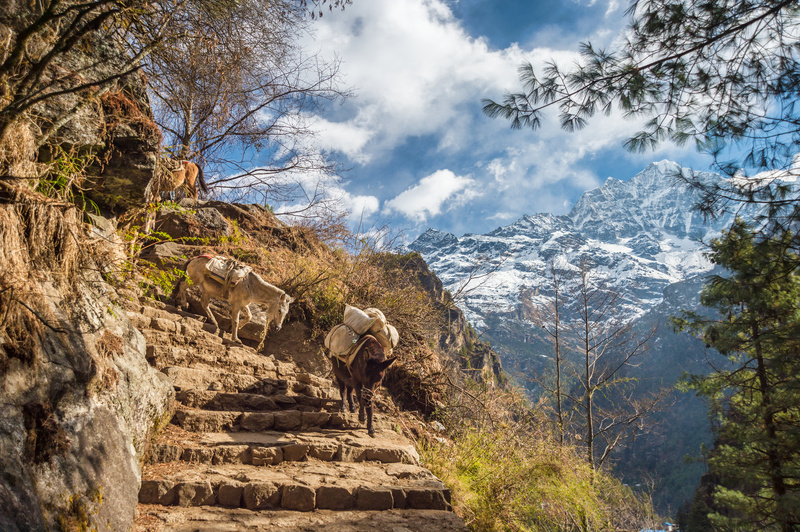 As you trek upward, you will pass through the beautiful Gurung villages of Ghandrung, Chhomrong, Dhampus and the rural communities of Modi Khola. Pass through forests of bamboo and rhododendron to reach Base Camp at an altitude of 4300m. 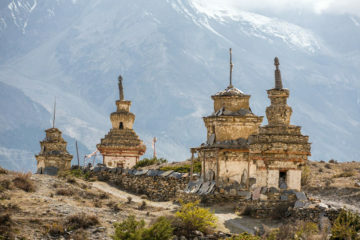 Unmatched cultural and ecological diversity, as trails wind through the timeless Gurung and Tamang villages, as well as Thakalis, Bhotias and other Tibetan ethnic groups of the north. 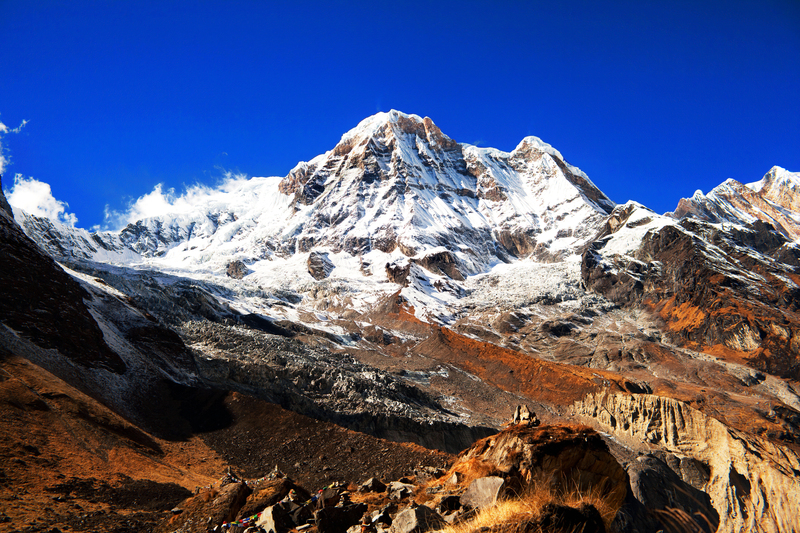 Breathtaking panoramas of the majestic Annapurna and Dhaulagiri ranges. Visits to Tibetan Buddhist monasteries in various villages. 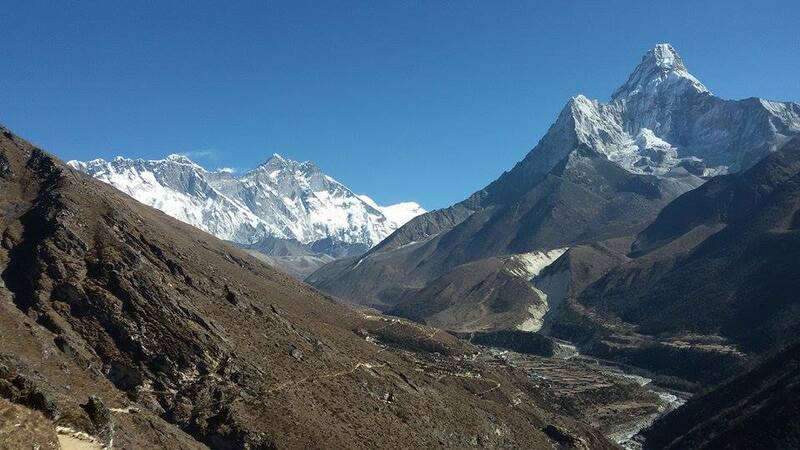 You’ll have a short meeting with your trekking guide for info about the trip and departure to Lukla tomorrow. Now is the time to ask any last minute questions and make final preparations. Pokhara is situated at about 915 meters from sea level, and is located 124 miles (about 200 km) west of Kathmandu and can be reached by plane in 35 minutes or in 5 hours by bus. Pokhara is often called the Enchanting Himalayan Valley, at the heart of major action and adventures. This area is surrounded by beautiful snow-capped mountains, with a magnificent lake of crystal-clear pure Himalayan water, and year-round pleasing weather. We arrive in Naya Pool to start our trek and the trail leads to Birethanti, following along the river and to reach Tirkhedhunga. After that the trail is steeply up to Ulleri, passing more than 2000 stone steps to arrive in the village. 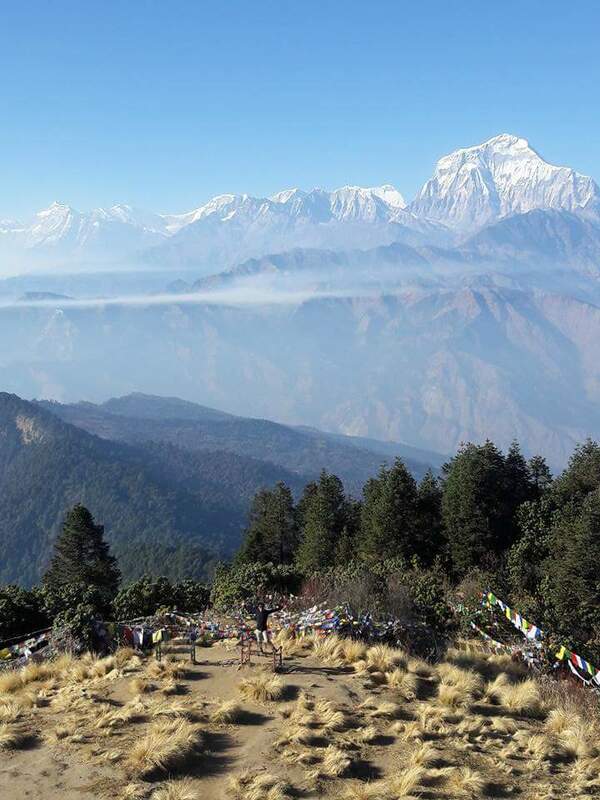 From the very beginning, the trail leads still up through the rhododendron forest, passing Nangethanti and Banthanti to see the towering views of Ghorepani. 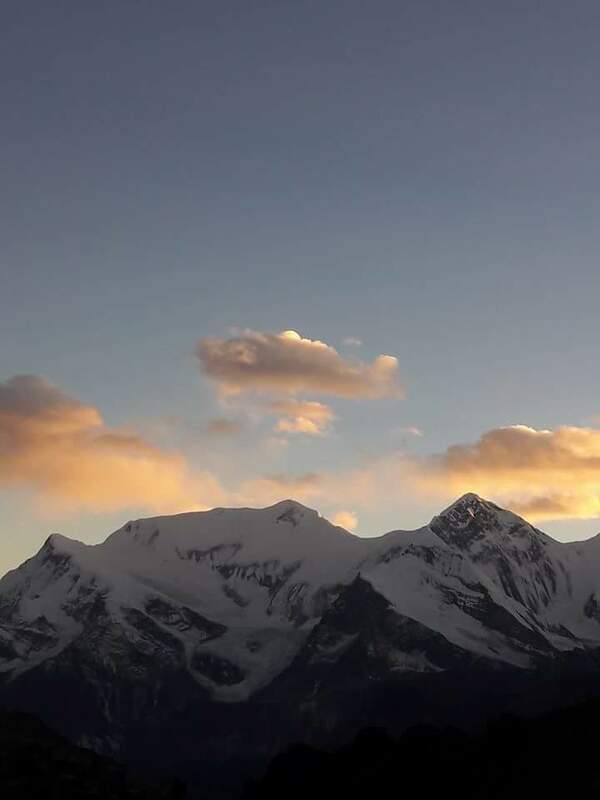 Today starts with a beautiful sunrise and majestic views of Annapurna and Dhaulagiri ranges and marvelous views of rhododendron forests and its blossoming flowers. After breakfast we proceed to Tadapani (2700m) – 6 hrs. The day will be quite long, waking up early in the morning and after breakfast tackling a couple of long up and down hill stretches. The trek offers a visit to ACAP Headquarters and a traditional Gurung Village with beautiful views of South Annapurna and Mt Fish Tail. Ghandruk is a popular Gurung village among western societies from where the brave Gorkhas originated. 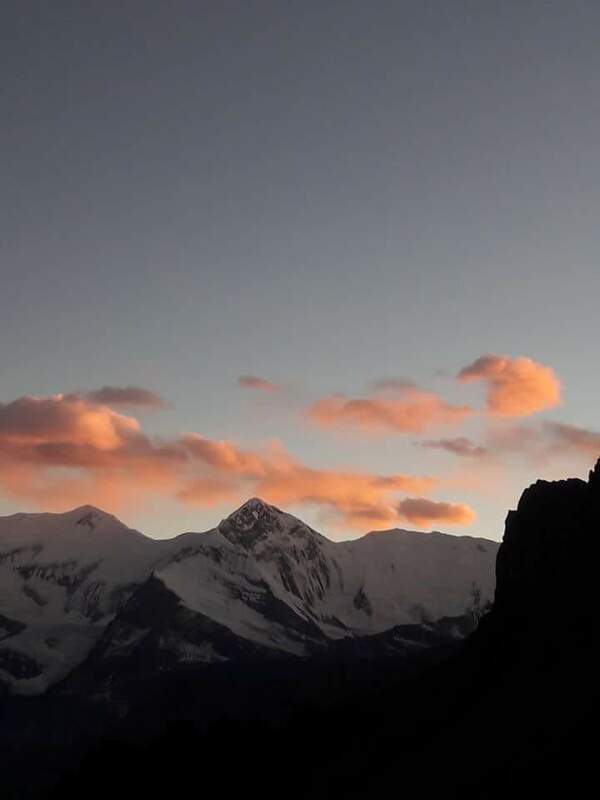 It has a primitive culture, with natural mountain views of Mount Annapurna South, Hiunchuli, Gangapurna, Mt Machhapuchchhre (The Fish Tail), Annapurna 3 and others. The village is full of lodges and local houses with cultural touches. After descending a gentle slope, we arrive at a stream that needs crossing. Hereafter, we begin our ascent for Kimron pass (2220m), after we descend through a steep forested ridge to Kyamrong River and onto Kyamrong village. We cut across the cultivated fields and climb a mountain path to arrive at Tarun. We continue along the ridge path, which offers an excellent view of the Annapurna range. We then descend to the Modi River and continue along a leveled path. At the final stretch, we descend a stoned path to arrive at Chomrung. We descend through fields to arrive and cross the Chomrung River. We then ascend through a forested slope to Kurdi. After Kurdi, we trek down steeply to the Modi River. We will travel along a rocky path and on through a dense bamboo forest to reach Dovan. A short steep ascent sees us to Hinko, with its overhead rock protrusion giving a cave-like impression. We cross a stream to descend to the Modi riverbed, then climb gradually to finally arrive at the valley where Machhapuchhare Base Camp (3703m) is located. Walking time is about 4 hours, but due to the sharp increase in elevation, we will go no further. 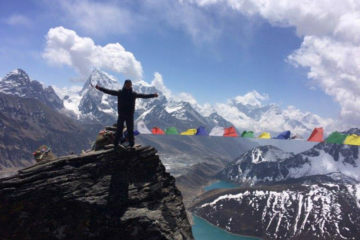 From here, panoramic views of Machhapuchhare, Annapurna III, Fang and Annapurna South are quite spectacular. Dovan – 5 hours – Ascending a path along a stream and onto the center of a lateral moraine, Annapurna I is finally revealed. From here we pass along to the grass covered area of Annapurna Base Camp (4200m). The destination offers a spectacular view of the surrounding mountains – what you have been waiting for! After spending the rest of the morning in the camp, we return to Dovan. Due to continuous descents, we are able to cover a longer distance. 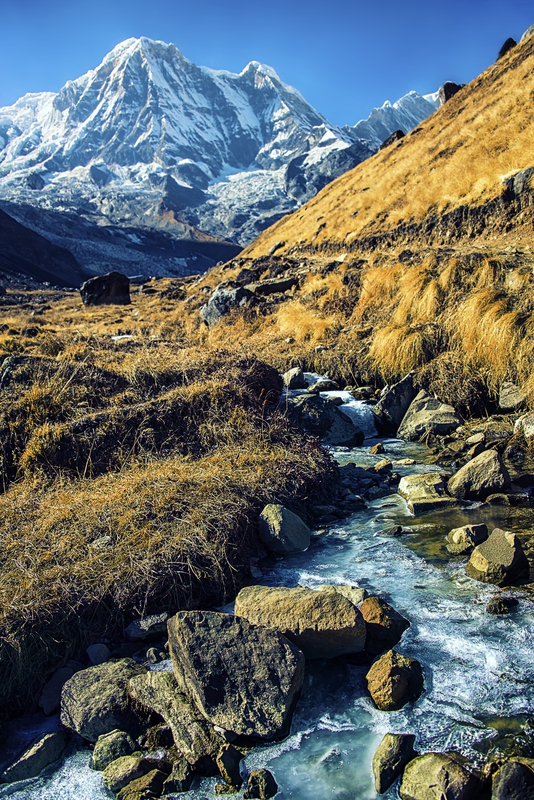 The option to visit Jhinudanda is wonderful because of its natural and lovely hot springs where you can relax after your trek and coming down the bank of Modi river from Annapurna Base Camp. The trek then starts with several long up and down stretches, and we will re-trace part of our original trek until we reach Chhomrong and climb steeply down to Jhinudanda. Along the Modi River valley for 5 hours & drive to Pokhara for an hour by car. The trek from Jhinudanda to Nayapool is along the river valley. 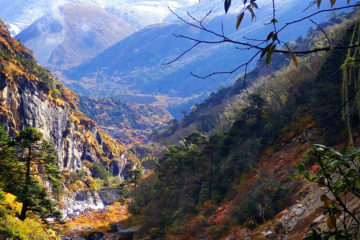 This trek offers views of some beehives and multicultural settlements around New Bridge, Landruk, Kimche and Shyaule. As soon as we arrive to Nayapool, we get a jeep and proceed to Pokhara to relax lakeside. Depending on your scheduled departure time.